We love to help children and adults learn about nature, the environment and how to deal with both. 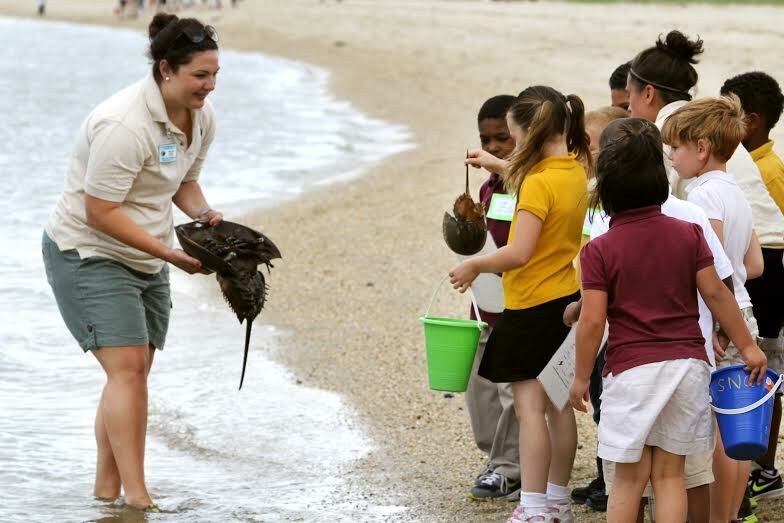 Cape Henlopen State Park provides a wide variety of educational programs and teachers in Delaware schools have long made it the destination of field trips. In recent years, budget cuts have limited the ability of some schools to send students on these trips. In 2009 the Friends established the Richard & Mirth Thatcher Education Fund to provide financial assistance with travel expenses to schools that need help bringing their students to participate in Park programs. The Thatcher Fund was established in recognition of the long and distinguished service to the Friends by Richard and Mirth Thatcher. Proceeds from our annual Chocolate Tasting in September support this endeavor. ,Our youth fishing tournament for children 15 and under is held annually.. There is a $10 entry fee which covers the cost of staging the event. All entrants receive a free T-shirt! ​Prizes will be awarded for the largest fish caught, most fish caught, first and last fishes caught. Also, and thanks to the generosity of our local bait and tackle shops, who donate fishing themed prizes, most entrants will go home with a prize. Fishing lines drop in the water promptly at 8:00am, so plan on arriving at the pier between 7:00am and & 7:30am to get a good spot, and a timely start. Join us for this fun morning out for both parents and kids. This activity is also aimed at getting young people interested in the many other activities that the park has to offer. so, if you are not already familiar with our park why not make a day of it and explore further!